Established in 2018, Arrowhead Developers is planning to offer moderately priced affordable homes and provide much-needed housing inventory for local residents. Mr. Roesner, a businessman from Indiana, formed Arrowhead Developers LLC in 2018. “The mean household income is approximately $65,000 per year and, in the world of mortgages, indicates home prices in the $220k to $260k range will meet the affordable threshold for these folks,” says Roesner. Roesner adds, “There is a shortage of trades in the area, which will drive up costs to build. In order to offset these costs, we are introducing modular homes into our neighborhood developments. The result is an affordable, high-quality family home.” Arrowhead is a family business, and Mr. Roesner’s wife, Debra, is active as the vice president. Mrs. Roesner works with the manufacturers on product selection and design. Kevin Olson, of Graham Real Estate, is also an integral part of the project “Pete and I have been talking about this for quite some time and I am happy to see the plan and the team coming together.” Mr. Olson and Graham Real Estate will be listing the homes as they become available. Also working with Arrowhead, is Riverbank Finance of Grand Rapids, Michigan to help their clients find the right mortgage. 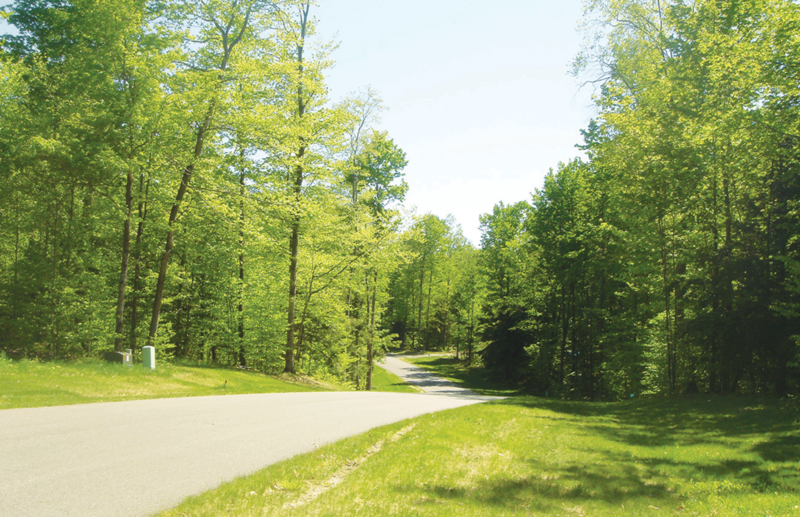 Arrowhead plans to offer its first home just east of Harbor Springs in February 2019, followed by approximately 40 more homes in its first development.